Deal Physical damage to target enemy and inflict Target Lock for 2 turns if they have no buffs or debuffs. Otherwise, remove 20% Turn Meter. While Rex's ARC-170 is active, Galactic Republic allies have +10% Tenacity, and whenever an ally Resists a debuff, all other Galactic Republic allies recover 15% Protection. Rex's ARC-170 and another target ally gain 50% Turn Meter and recover 50% Protection. 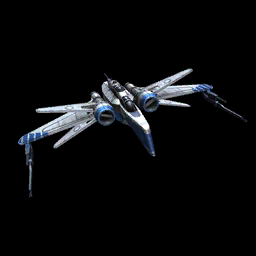 This ability's cooldown is reduced by 1 for each other active Galactic Republic ally.